The worlds of LGBT visibility and technology innovation came together for a national summit at the White House on Monday. The Obama administration hosted the second White House LGBTQ Tech & Innovation Summit, which brought together more than 170 LGBT identified coders, designers and tech community organizers to address some of the nation’s toughest challenges using technology solutions. 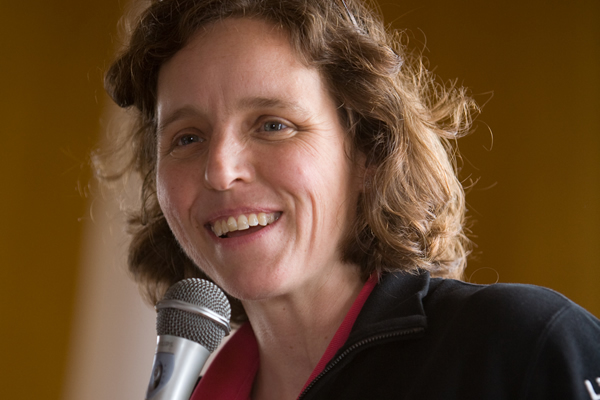 U.S. Chief Technology Officer Megan Smith represented the Obama administration in addressing the summit. In remarks before attendees in the Eisenhower Executive Office Building, Smith said technology experts are needed in the highest levels of government. “Something that the president is really trying to do is bring technical people and lift those extraordinary technical people who are already here up to have more of a voice in architecture and how to do things and make us much more cross-functional,” Smith said. Those who attended the summit told the Washington Blade they wanted to take part to network with other LGBT tech experts and broaden their understanding of issues. Among the attendees was Vivienne Ming, who’s transgender and the vice-chair of StartOut, a national LGBT entrepreneur group. The 43-year-old resident of Berkeley, Calif., said she participated because her organization is “deeply involved” in LGBT entrepreneurship and facilitating business development for other marginalized groups. Ming added “the faces, the body shapes, the identities expressed” at the summit helped dispel the image of the LGBT movement as being centered on white, gay males. Tiffany Dockery, a 27-year-old lesbian and project manager for a tech company in Seattle, said she came to the summit because the intersection between progressive ideas and technology is important. The event marked the second time the White House hosted the LGBT tech summit. The first summit took place a year ago in July. Katie Tomezako, a 29-year-old lesbian from West Hartford, Conn., said she wanted to take part in the summit because the LGBT community can seem small in her home state.